I do not know how Belle and Henry acquired this land. I obviously have some work to do at the Wexford County Court House. I am planning two genealogy trips this sprint, and one is up to Wexford County. My list is getting longer. I do see the name Jones on the deed as a witness, a surname associated with Belle’s family. Belle’s mother was Miranda Jones, daughter of Robert and Savilla. 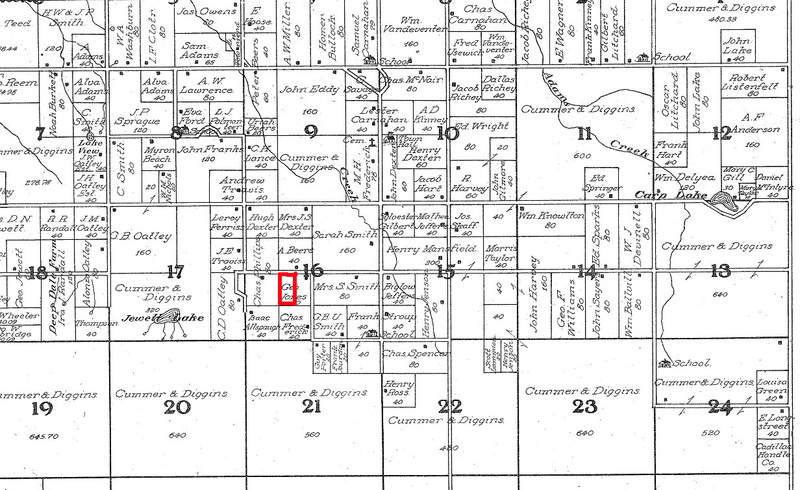 It remains to be see if William Jones of Antioch Township, Michigan was related, or the name is a coincidence. This map is taken from the old 1908 atlas of Wexford County1. Elizabeth McClain is not listed as an owner in 1908. 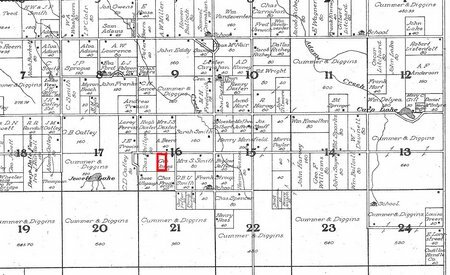 You can enlarge to see the detail, with the family of Geo Jones owning 40 acres which would encompass the 20 referred to in this deed.